Once a province of Gondor (Calenardhon), Rohan (S. ‘Horse-land’, from the Q. Rochand[e]) was the kingdom of the Rohirrim, given to the Men of the Éothéod by Cirion as a reward for their aid in the Battle of the Fields of Celebrant and their swearing of the Oath of Eorl (TA 2510). The kingdom was thereafter ruled by King Eorl and his descendants, and throughout its history, Rohan remained friendly with the Dúnedain. 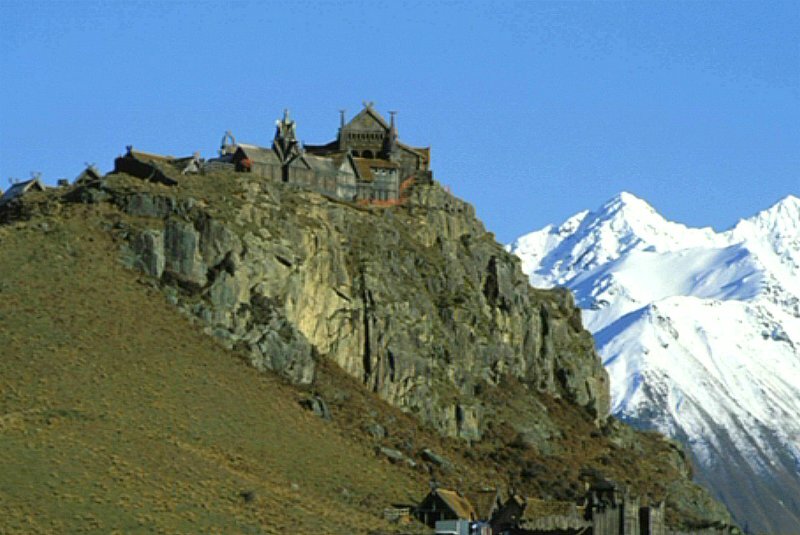 The capital of Rohan, Edoras, was situated on a hill in a valley of the Ered Nimrais (White Mountains) and had been built by Brego, the son of Eorl and the second King of Rohan. It was here that the Golden Hall of the King, Meduseld, was located. 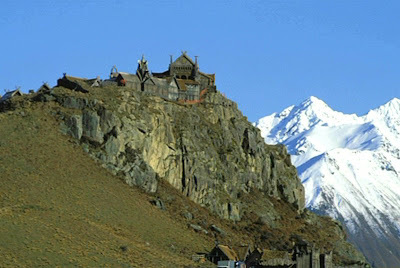 While Edoras was the main city of Rohan, several other important settlements include Aldburg (the capital of the Eastfold and the original settlement of Eorl the Young), Snowbourne (named for the river which runs nearby), Dunharrow (a refuge in the Ered Nimrais), Helm’s Deep (the valley in the Ered Nimrais in which Rohan’s major fortress, the Hornburg, was located). The Rohirrim were famous for their leagues of rich and abundant grassland and more so for their prized horses, which they loved above everything else and whose grace and beauty were unmatched by any other in the world. The armies of Rohan were largely made up of horsemen, divided into units called éoreds which included up to 2,000 riders. In times of war, every able-bodied man was obligated to join the Muster of Rohan; they were still bound by the Oath of Eorl to aid Gondor in her times of peril, which was signaled via the Red Arrow or the lighting of the beacons of Gondor. The Rohirrm were held in respect by the people of Gondor, who described them as Middle Men – they were inferior to the Númenoreans, yet superior to the Men of Darkness who had worshipped Sauron. Rohan was overrun by Dunlendings (led by Wulf) in TA 2758, but the invaders were defeated by Fréaláf. Soon after, Saruman moved into Isengard, where he was welcomed by the Rohirrim as an ally. In 2799, Rohan was troubled by Orcs fleeing the Battle of Nanduhirion; they were not entirely driven out until 2864. By 2960, Saruman had begun to harass Rohan, and in 3014 he began to use his influence to corrupt King Théoden. Five years later, an army of Orcs and Dunlendings attacked the weakened country. The Rohirrim were defeated in the two Battles of the Fords of Isen (in which Théodred, the King’s son, was slain), but with the aid of Gandalf and the Huorns, the invaders were defeated in the Battle of the Hornburg. Following this victory, Théoden rode with an army to Minas Tirith and helped break the siege in the Battle of the Pelennor Fields, where he was slain. His nephew, Éomer, took up the reign and began the Third Line of Kings; his niece, Éowyn, succeeded in slaying the Lord of the Nazgûl. Éomer then rode with the armies of Gondor to the Black Gate of Mordor and fought in the Battle of the Morannon against the forces of Sauron; the enemy was defeated when the One Ring was destroyed in Mount Doom. After Elessar became the new King of Gondor, he and King Éomer renewed their oath of alliance, reaffirming Cirion’s grant of Calenardhon to the Rohirrim. 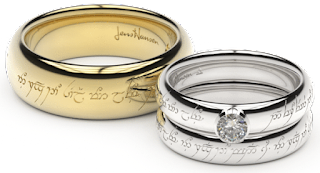 Éowyn married Faramir, the Prince of Ithilien and Steward of Gondor, thus uniting the lines of Gondor and Rohan. By the Fourth Age, a Dwarven community had developed in the caves of Helm’s Deep and became prosperous from mining precious materials, and Rohan remained in peaceful coexistence with the Reunited Kingdom.